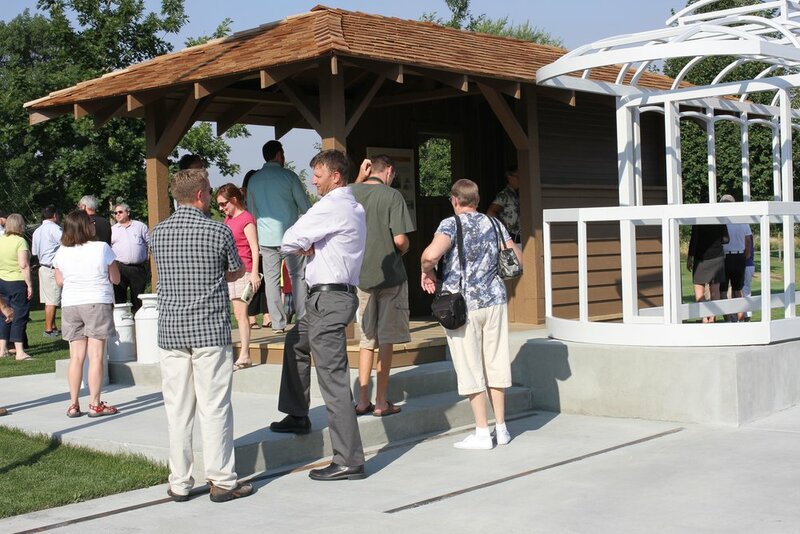 Initiated by the Southeast Boise Neighborhood Association, the City of Boise Department of Arts & History, and the Boise Department of Parks and Recreation, the South Boise Streetcar Station commemorates the historic streetcar system that was once a primary transportation utility throughout the Treasure Valley. 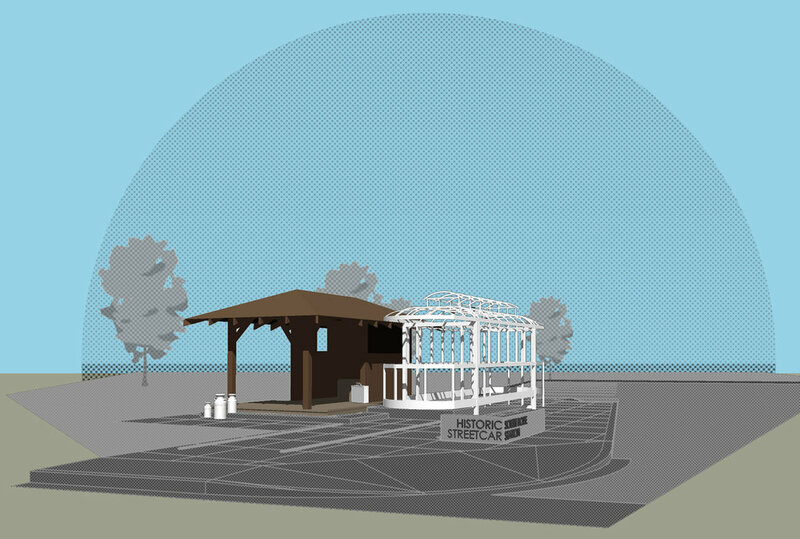 The project involved restoring and renovating the only remaining streetcar shelter in Boise. The plaza is a large scale still-life installation that illustrates the utility, convenience and fun of the original streetcar system. A life-sized trolley structure integrated into the ADA ramp welcomes visitors inside the shelter where metal briefcase, milk cans, and picnic basket illustrate the variety of economies that the streetcar originally served. Interpretive panels further describe the history of Boise’s first rail transit system. The plaza is oriented toward the westernmost stop on the interurban line, 45 miles away in Caldwell, Idaho. This project received the 2014 Award of Merit by the American Association for State and Local History. “Byron’s work on the South Boise Streetcar Station was essential. As both an architect and artist, with a sensitivity to history, he conceived of and implemented a national award-winning public art/history installation. 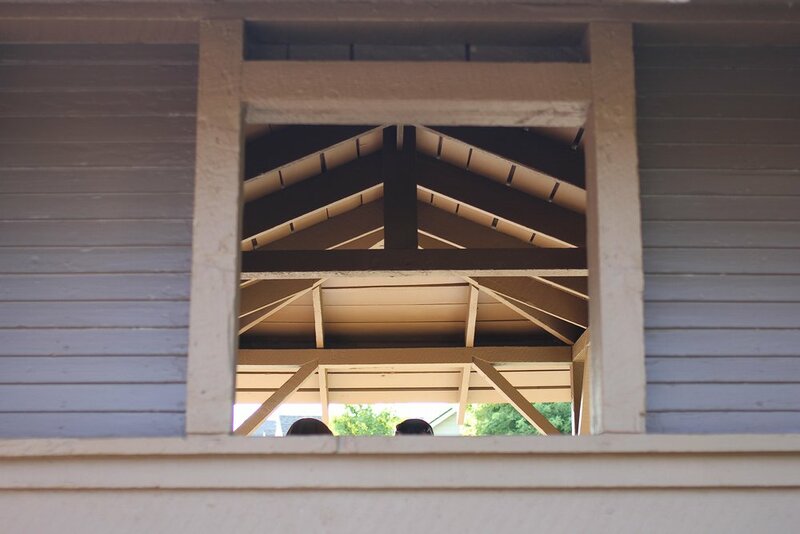 From thinking of ghosted trolleys and artifacts, to placement of a historic trolley station on the site, his attention to detail made it quite the perfect result."